Bloodwood ( Corymbia terminalis, MYRTACEAE ). 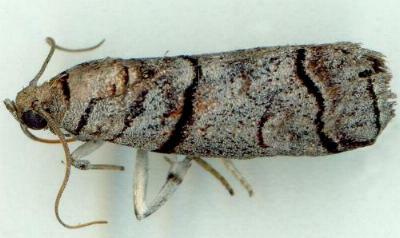 The adult moths have grey forewings, each with a pattern of wavy dark lines. The hindwings are white. The wingspan is about 2.5 cms. Volume 53 (1942), p. 86. A Guide to Australian Moths, CSIRO Publishing, 2007, p. 24.